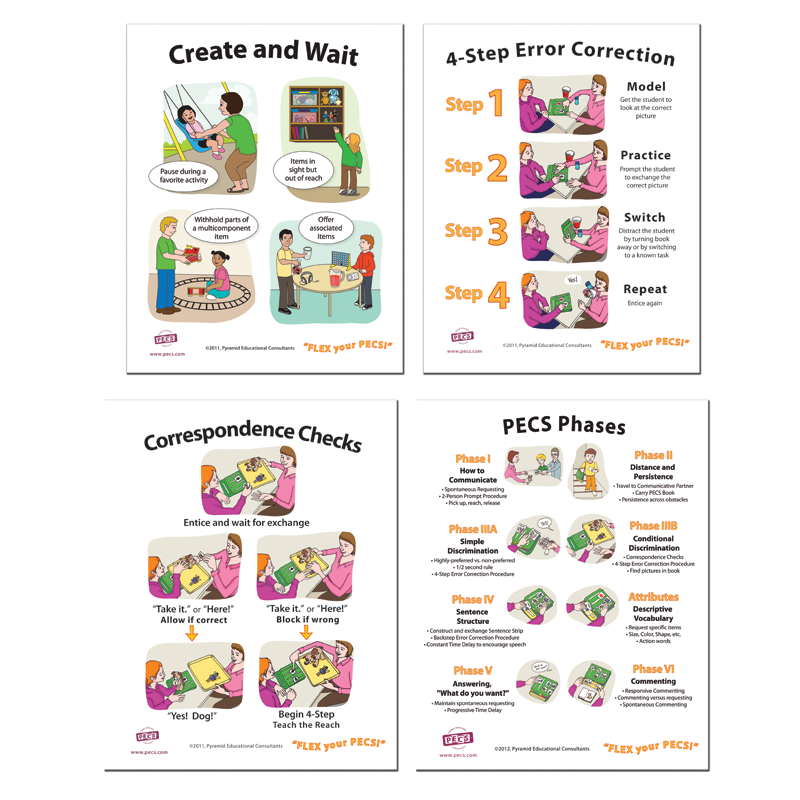 These colourful posters are great visual aids for practitioners! 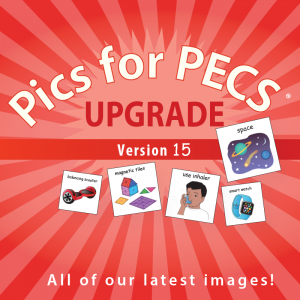 Each depicts a key element for implementing PECS. 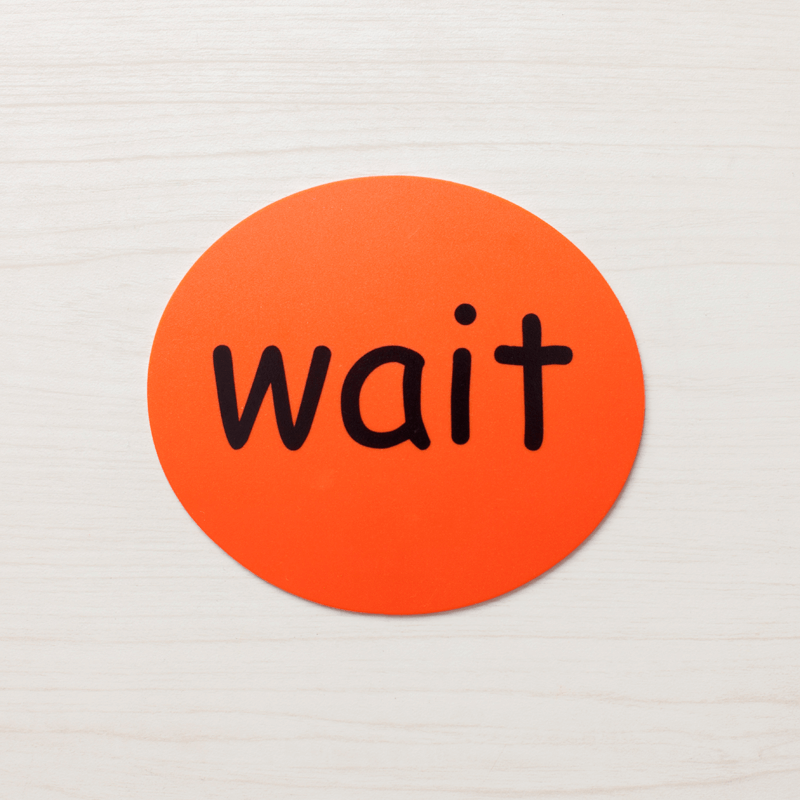 Create and Wait™ describes 4 simple strategies for creating communicative opportunities across the day at home, in the school or clinic, or in the community. The 4-Step Error Correction Procedure is your visual map for responding to errors in discrimination teaching in Phase III and beyond. Correspondence Checks portrays the steps involved in periodically checking for correct discrimination in Phase IIIB and beyond. 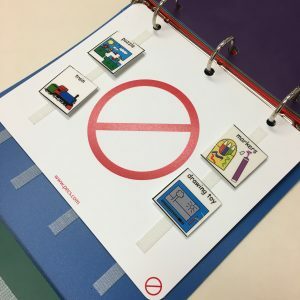 The PECS Phases offers support by providing visual cues on how to properly implement each phase within PECS. Available in two great sizes so “Flex your PECS” and buy a set of 4 today!